A ghostly apparition appeared in the Raphael office this week! If you look carefully you can see the figure of a man lurking behind the glass. 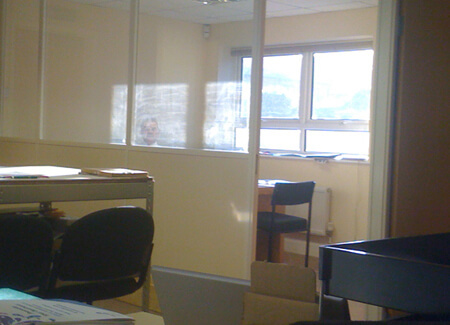 It’s in no way just Pete sat at his desk while the sun makes a strange reflection on the glass. Not at all.